← Twitterthon 2016 – Malaysia’s First Social Media Run! Look Who’s In Town – Lucozade Sports! Personal Lucozade History: During my schooldays in United Kingdom, Lucozade was my favourite drink as an anytime pick-up drink and to quench my thirst during and after sports. At that time, there were no orange flavour, and there was only the original flavour which carried a unique taste, unlike any other sports drink. 30 Years Later: Naturally, I am pleasantly surprised that Lucozade Sports has finally made its way to our shores, be it, in its more palatable orange flavour. Perhaps, when Malaysians familiarise themselves with the brand, we will be able to enjoy the time-honoured Lucozade original flavour or other fruity flavour apart from orange. Thirst-Quenching Aid: Indeed, Malaysian Athletes and Sportsmen will benefit from this introduction of a new quality source of Sports drink. With the boom in mass sporting events such as Cycling and Running, Lucozade Sport’s arrival is both timely and welcoming. Edan Syah started running eight years ago. The self-coached runner qualified for the 119th Boston Marathon 2015 and finished with a time of 2:41:55, and became the fastest and the youngest Malaysian to have run the Boston Marathon! At the Tokyo Marathon 2016, he achieved a personal record of 2:38:55 and is now ranked as the fastest marathon runner in Malaysia for 2016. Edan aspires to be the youngest and fastest Malaysian to complete the 6 World Marathon Majors (WMM) under 2hours 45minutes by 2018. 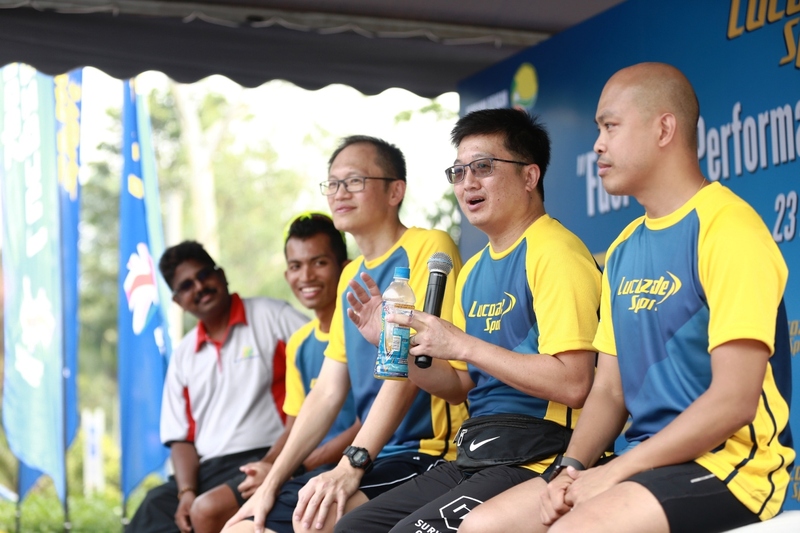 A trusted brand since 1927, Lucozade Sport™ continues to hydrate and engage with Malaysian athletes at high-profile sporting events. Find out more about the ‘Fuel Your Performance’ campaign at http://www.lucozadesport.com or http://www.youtube.com/lucozade. This entry was posted in 2016, 21km, 42km, April, Event, Event Organiser, Full Marathon, Half Marathon, Happy Runner, Kedah, Langkawi, Marathon, Media, Running, Running Event and tagged 42km, Aseania Hotel, De'LIMA Langkawi Marathon 2016, Langkawi, New Event, Running. Bookmark the permalink.